The south of Argentina is famous for its numerous trekking options. Ushuaia is the gate to Tierra Del Fuego National Park and El Calafate is at the center of Patagonia and the gate to Los Glaciares National Park. After my trip to Antarctica, I stayed a few days in Ushuaia to enjoy the surrounding nature. I must say that I was a bit lazy and didn’t do as much as I should have… It was a bit of a disappointing hike to the Martial Glacier followed by a nice afternoon in the Tierra Del Fuego National Park. The landscape was beautiful but couldn’t top Antarctica and my mind was still there so if you’re going to Ushuaia, visit the region before doing the cruise! El Calafate is a nice town in the center of Patagonia. The town is Patagonia’s entrance gate as the main airport is located there. 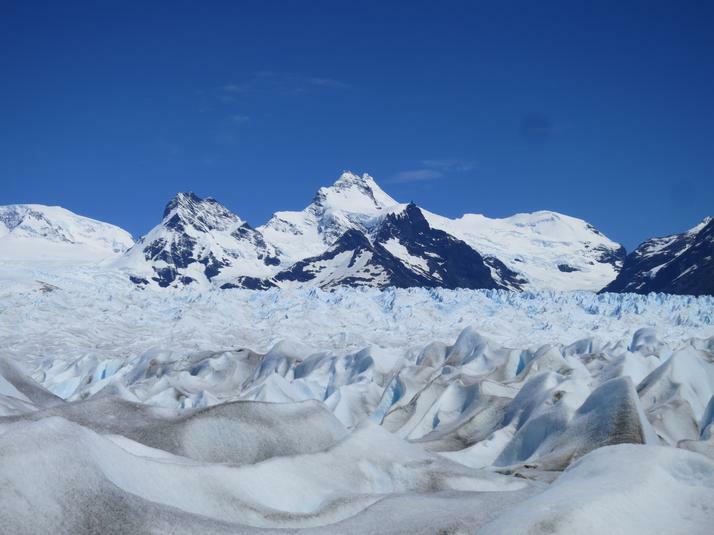 There’s however not much to do in Calafate itself and the main attraction, the Perito Moreno Glacier, can be done in a single day. The glacier was very impressive, especially because it is very active and you can hear the ice crack as well as see huge blocks falling. 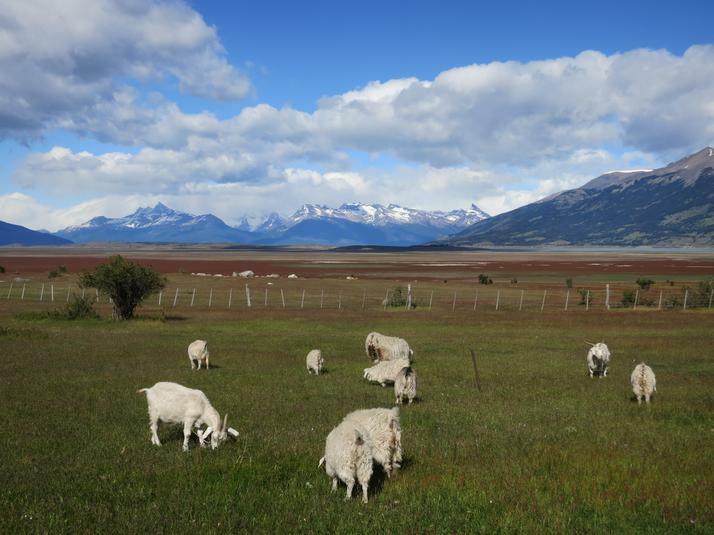 Three hours from El Calafate, El Chalten is a mandatory stop for trekkers. Also known as Capital Nacional Del Trekking, it is located at the bottom of the Fitz Roy mountain and the start of numerous trails. Most of them can be done in a single day but there are a few where camping is needed. Weather was so-so during my stay and I only did some day treks which were beautiful. My goal in El Chalten was also to do some ice trekking on the Viedma Glacier. Unfortunately, the wind prevented the boat to reach the glacier’s front and I had to go with my backup solution on the Perito Moreno Glacier. It was a great experience and, while it is more exhausting, walking with crampons is easier than I thought! We did a three hours walk with a picnic at the center of the five kilometers wide glacier. My biggest regret is not having enough time for Torres Del Paine National Park in Chile, five hours from El Calafate. A good reason to come back!